Herlitz Inventory Management deployed its HIMPACT inventory and buying solution to manage over 45,000 SKUs. 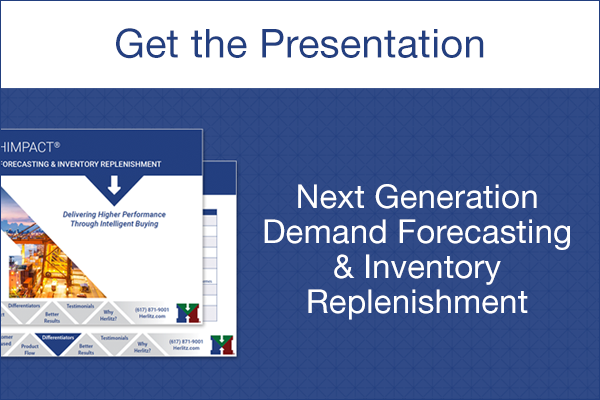 The solution is scalable and improves forecasting capabilities. Cambridge, MA, July 5, 2017 — Herlitz Inventory Management, a best-of-breed supply chain provider founded by the creators of E3 Corporation and internationally recognized for their inventory management expertise, today announced that URM™ Stores Inc. of Spokane, Washington, the leading food distributor in the Inland Northwest, has selected its “HIMPACT” inventory management solution to optimize its forecasting, replenishment and inventory. URM Stores, Inc. of Spokane, Washington services over 1,000 customers with sales of over $1 billion. It is an American retailers’ cooperative serving independent supermarkets in Idaho, Montana, Oregon, and Washington. The company operates a central warehouse with over 650,000 square feet with six Cash & Carry’s, which provide stores, restaurants and similar business operations with a full selection of grocery, food service, frozen foods and perishable products. For more information, please visit www.urmstores.com.